If you would like to buy these bracelets from me, you can do it in my Etsy store or in my eBay store. Thank you! Spring is a wonderful time of love, sunshine, and getting rid of long-sleeved winter clothing. 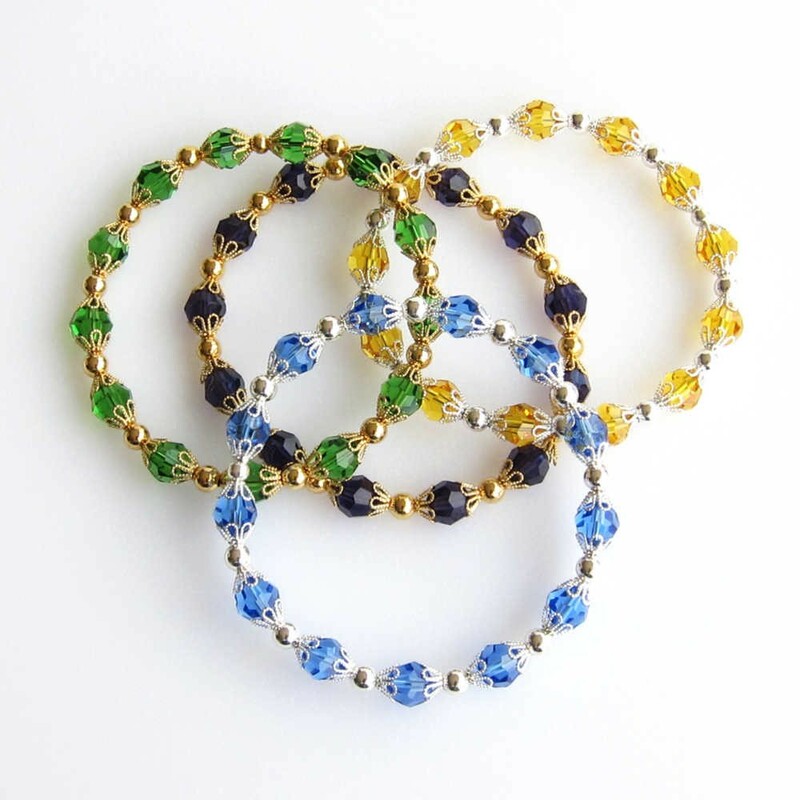 These light and elegant bracelets will create a perfect compliment for short-sleeved Spring tops and dresses and decorate your lovely arms, making you look like a Spring flower. 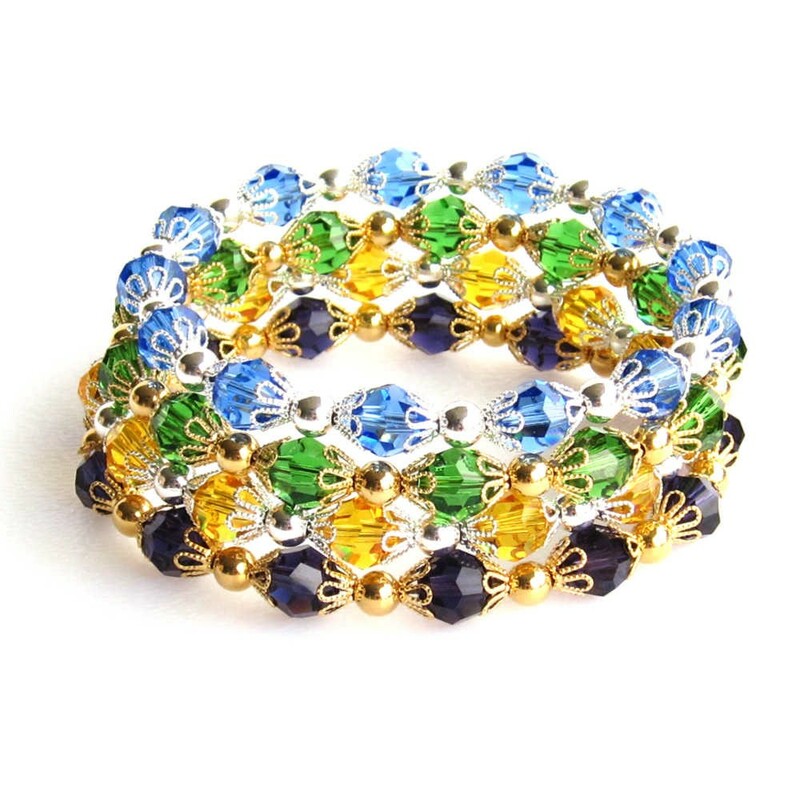 If I told you that even an absolute beginner would be able to make such bracelet without much of the strain, would you believe me? No? Let’s try! Step 1. 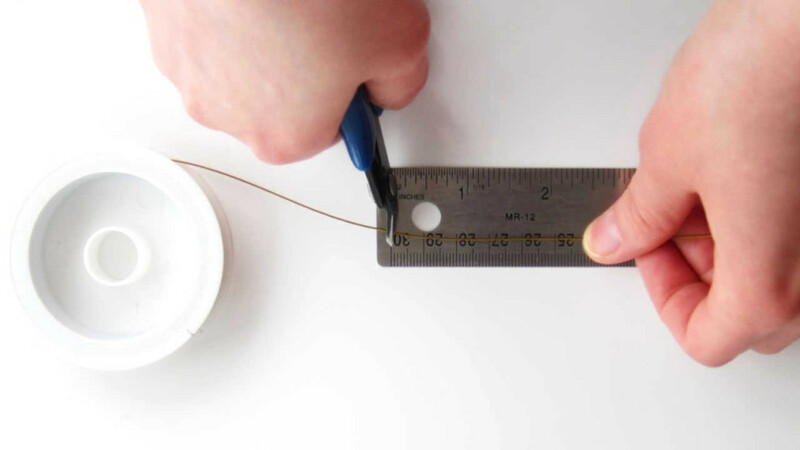 Measure 30 cm of beading wire and cut it off with wire cutter. 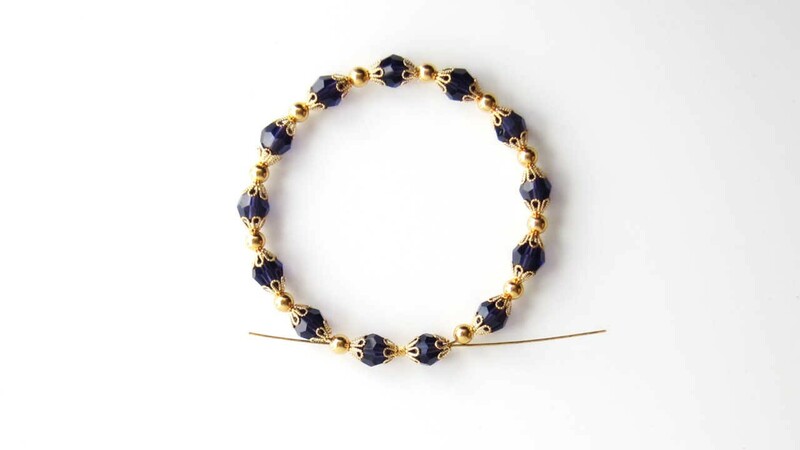 Choose good quality beading wire, without kinks and twists for the shape of your bracelet to be perfect. Step 2. 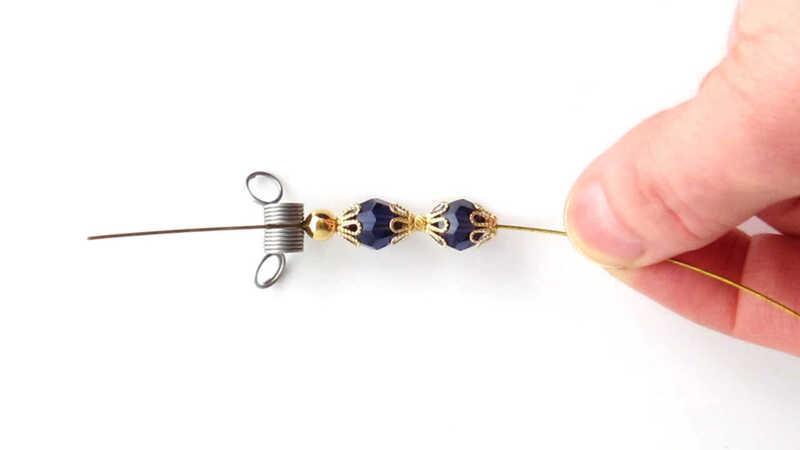 Place bead stopper on one of the ends of your beading wire. 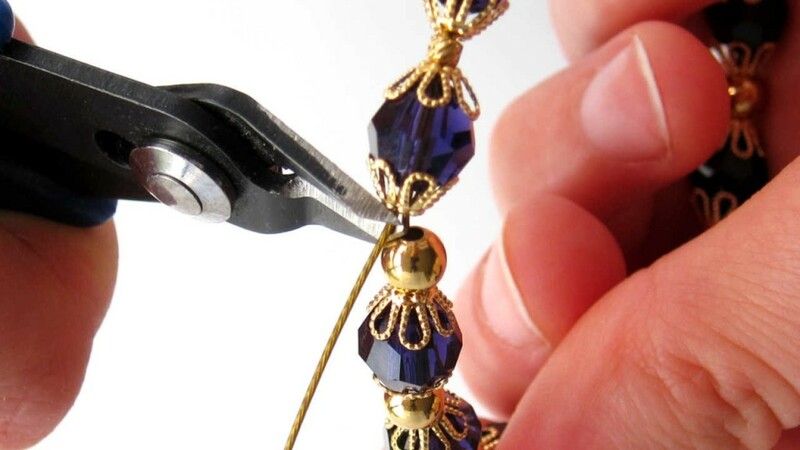 This is done for preventing your great effort to be in vain, a.k.a for preventing beads from sliding off the other end while you’re stringing them. If you haven’t gotten a bead stopper, you can use a regular clip. 5 mm metal bead – 7 mm bead cap – 8 mm Swarovski bead – 7 mm bead cap – 2.5 mm crimp bead – 7 mm bead cap – 8 mm Swarovski bead – 7 mm bead cap. Step 6. 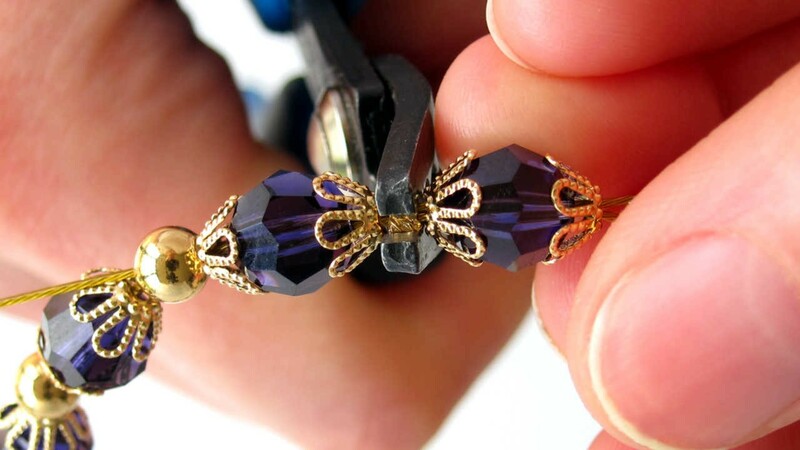 Using chain nose pliers, pull beading wire into a ring. Pull slowly and carefully so that you don’t damage the wire. Leave a 3-5 mm slack (exposed wire). This is done for leaving some space for your crimp bead cover. 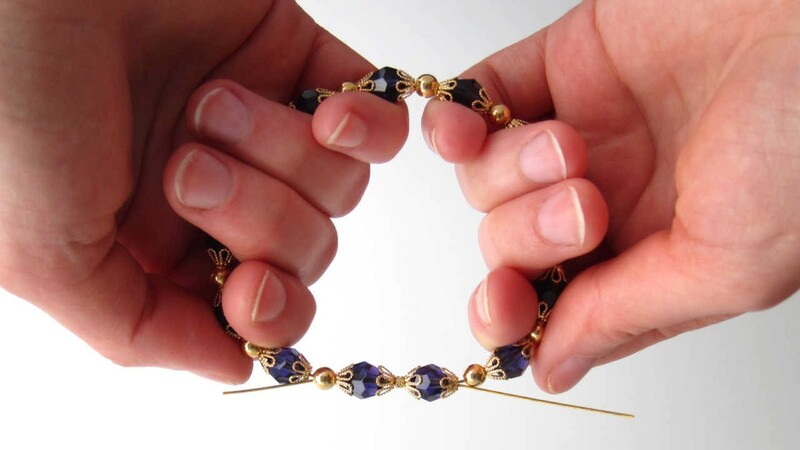 In addition, beads in the bracelet need some “breathing space” to move around the bracelet when it’s worn. Too tightly strung bracelet is fragile and can break at any time. For the next step we will need crimping pliers. 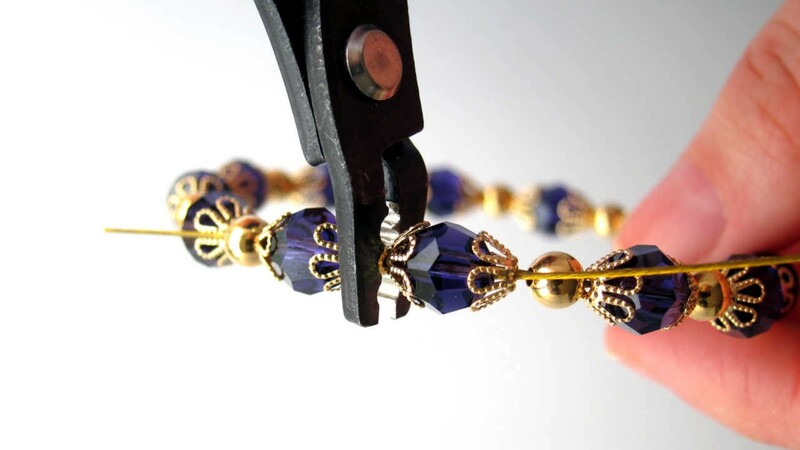 If you haven’t gotten crimping pliers, you can crimp your crimp beads with chain nose pliers. However, crimp bead which has been crimped that way is less durable, and it will be harder to place a crimp cover around it. All crimping pliers have two or three grooves in their jaws. For the sake of convenience, let’s mark them as numbers 1 and 2. Grooves # 1 are used for initial crimping of a crimp bead, turning round bead into a “U” shape. Groove # 2 is used for turning this “U” into a beautiful, round, completely closed crimp bead. 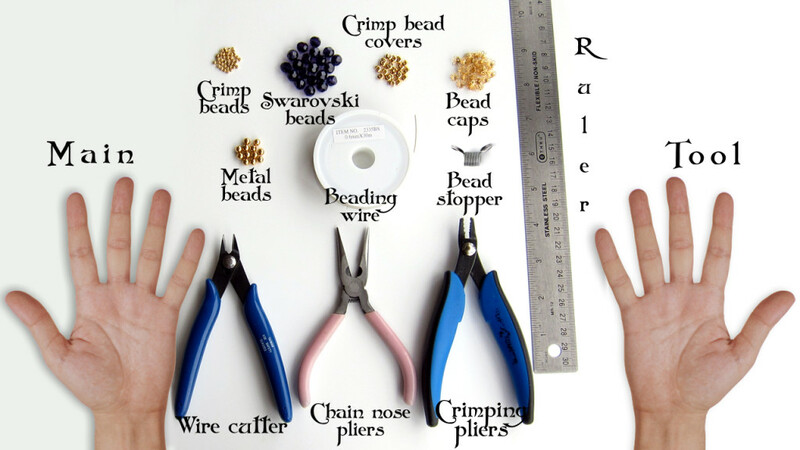 Secret to successful using crimp beads lies in separating beading wire ends during crimping. 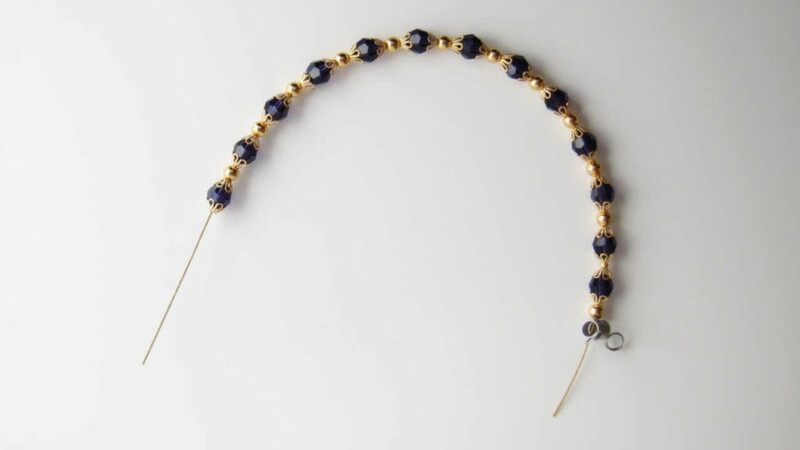 Both ends of beading wire inside a crimp bead should lie parallel to each other. 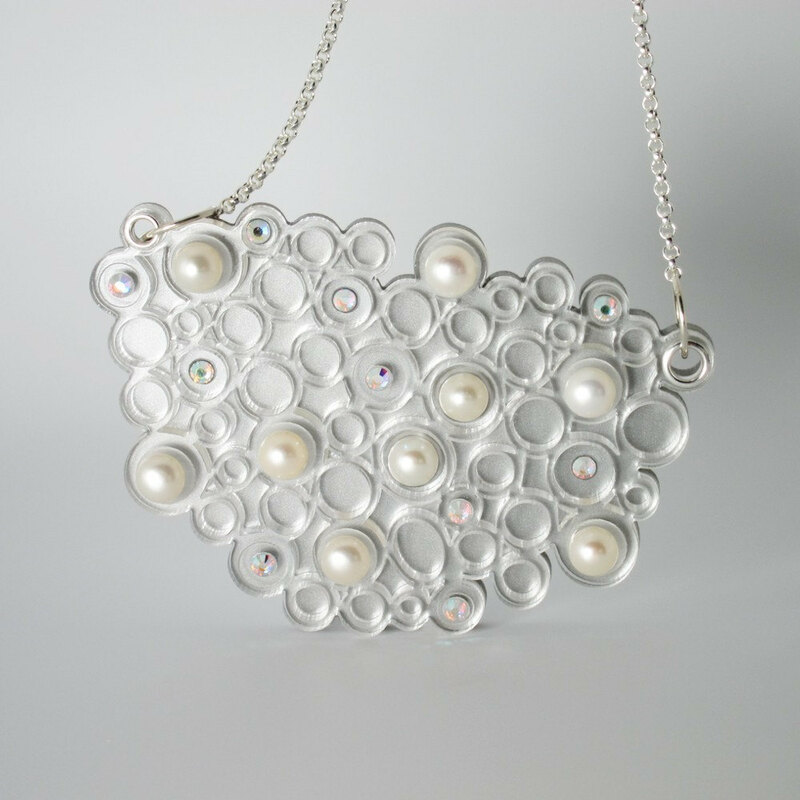 When they are crimped, they will be separated by the largest amount of metal of a crimp bead, and connection will be durable and sturdy. Step 7. 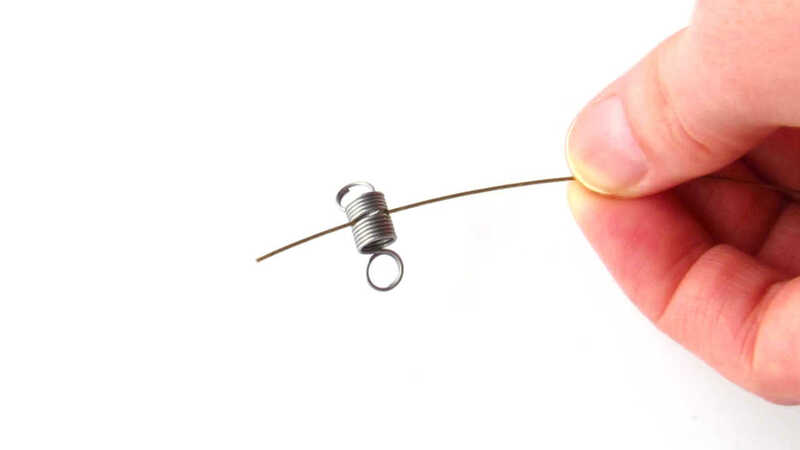 Using groove # 1, crimp your crimp bead into a “U” shape. 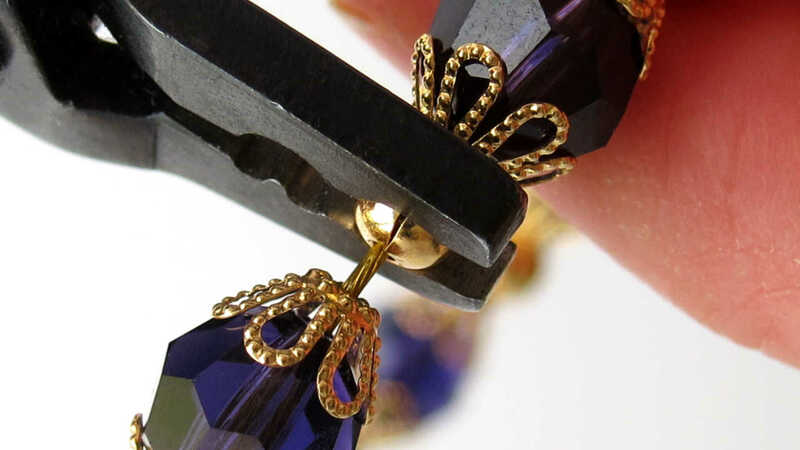 Round portion of the groove needs to be located on the outside of the bracelet, so it doesn’t damage bracelet’s shape. Complete crimping using groove # 2. 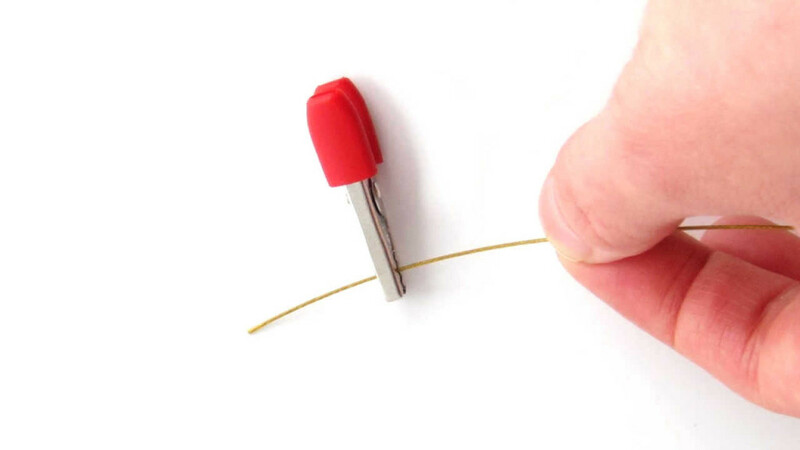 For an added durability, squeeze closed crimp bead with the tips of your chain nose pliers. Step 9. Place crimp bead cover over the crimped (and tested!) crimp bead. 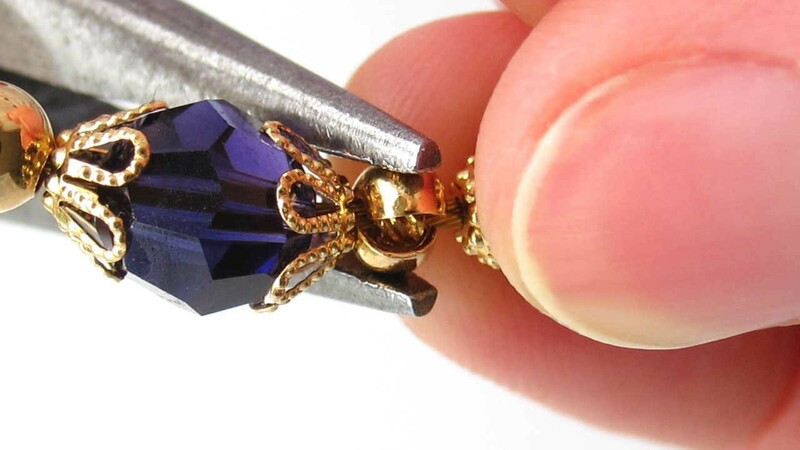 Close it using your chain nose pliers. Close slowly, there are few things metal hates more than being rushed! After closing, there will still be a small opening in the crimp bead cover. 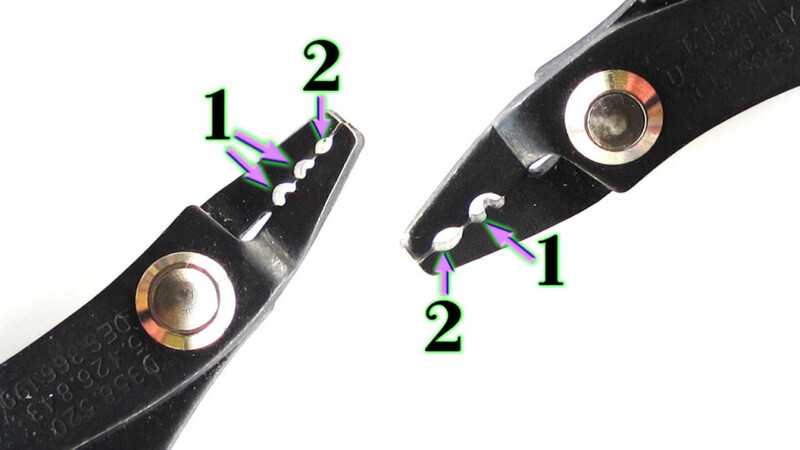 Using groove # 2 of your crimping pliers, close the cover completely. 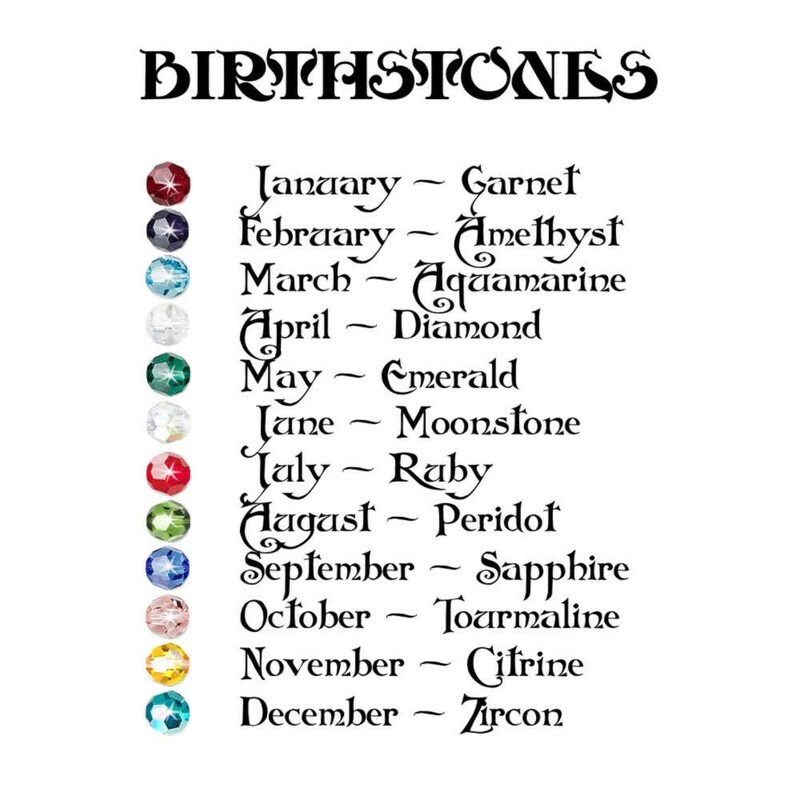 And here is another table, for calculating the size of your bangle bracelet. 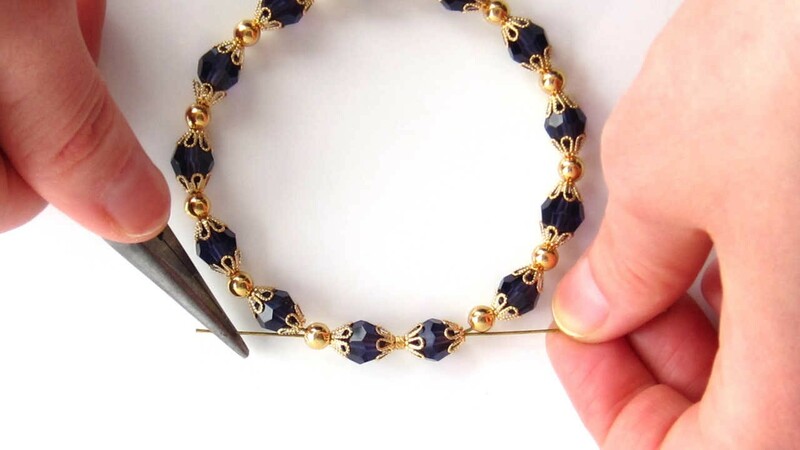 Bead count in this tutorial is given for a medium size bangle. 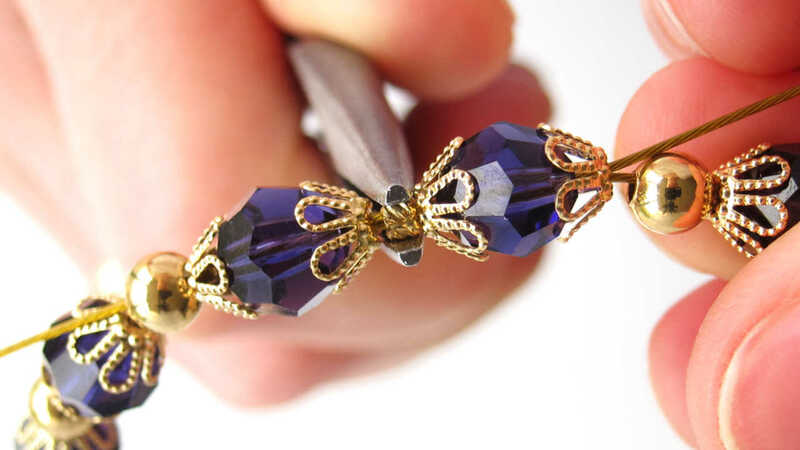 If you need a smaller bracelet – reduce number of Swarovski beads by one, if you need a bigger one – add one more Swarovski bead. Thanks for the great tutorial, Anna… I was referred by Marlene of “It’s All About Creating” blog. Thank you, Monique! Enjoy! 😉 “It’s All About Creating” is a cool blog, I like it!